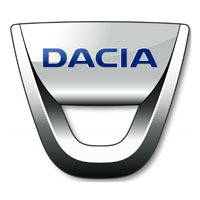 Tailored car mats for your Dacia, to protect from the soil, dirt, mud, water and oil while adding a touch of class to your vehicle. Available in 5mm or 3mm thick rubber, from lower cost carpet to luxury wool twist pile, and with options for edge trim style and material, our car mats can be customised to your exact needs. You can also choose from our range of logos or let us design one just for you. Manufactured and hand finished in the UK, fire retardant and waterproof, supplied with all necessary fixings and cut to the original templates to guarantee a perfect fit, look no further than our tailored car mats for the ultimate in style and protection for your Dacia.